At Westheights Veterinary Hospital, our entire team understands your pet is a vital part of your family and we are committed to providing compassionate veterinary care through the proactive use of veterinary medicine and modern equipment at our full-service facility. Dr. Sharma and Dr. Vandal strongly believe preventive care is the key to optimal health and that each pet is an individual deserving personalized care. All of our services including vaccinations, parasite prevention, surgery, X-ray, in-house diagnostic and medical treatment protocols are based according to the needs of your companion. We are a team of dedicated vets completely committed to offer precise pet health care services in Kitchener. We aim to provide clean, comfortable and well-managed medication atmosphere for your pets. We believe that personalized care and tidy surroundings are essential to promote speedy recovery. 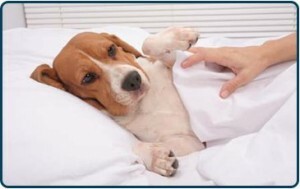 Our professional and courteous staff makes sure the sick pet has a homely feel. Our veterinarians undertake effective pet diagnosis to check for potential health ailments. Emergency assistance and medication is provided to the pets to ensure their safety and relieve them from pain or discomfort. Digital X-rays, vaccinations, prescription food, ultrasound, oral care and more; we provide every possible medical assistance for your adorable pet.We welcome the opportunity to earn your trust and give you a quality service. Contact us today to learn more about Westheights Veterinary Hospital and how we can serve your pet’s health needs.